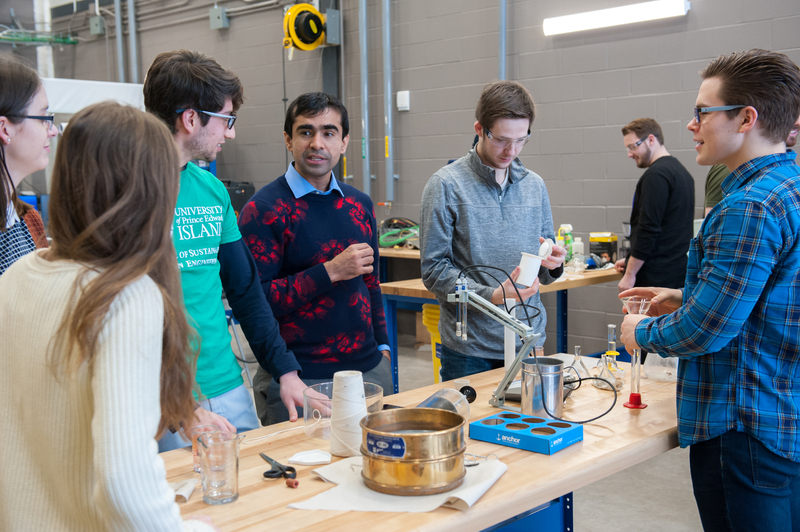 The Faculty of Sustainable Design Engineering at UPEI offers a progressive and innovative four-year Bachelor of Science in Sustainable Design Engineering degree which recognizes the need for a broad and balanced engineering education. The program follows current trends in engineering education and focuses on student outcomes. Small class sizes within an activity-based learning environment allow faculty and staff to be student-centric and to provide specific and timely input to individual students. Students are exposed to a broad base of knowledge and skills in engineering science, natural science, mathematics, and complementary studies in concert with an applied project-based design stream simulating the engineering profession. Students entering the degree program will be actively engaged in the profession of engineering from day one, providing creative and sustainable solutions to society’s problems. The degree program is designed to provide a highly flexible learning environment that is responsive to the dynamic needs of students and the industries that employ them.